Having done 9 full days of travelling, sightseeing and sky high step counts, we thought it was about time to have a more relaxing time on our last full day here in Prague. 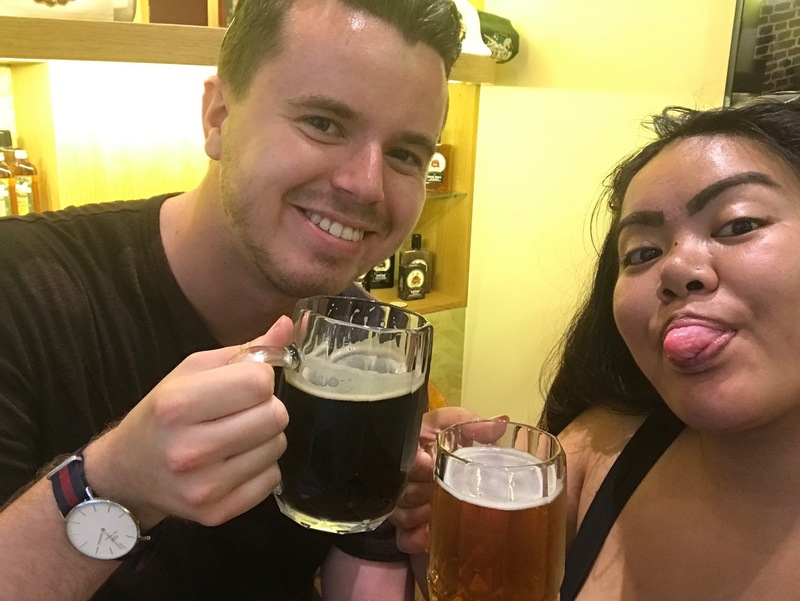 Originally looking for a spa day, we found that the highest rated spa in Prague was actually a beer spa! There's just no getting away from it here! 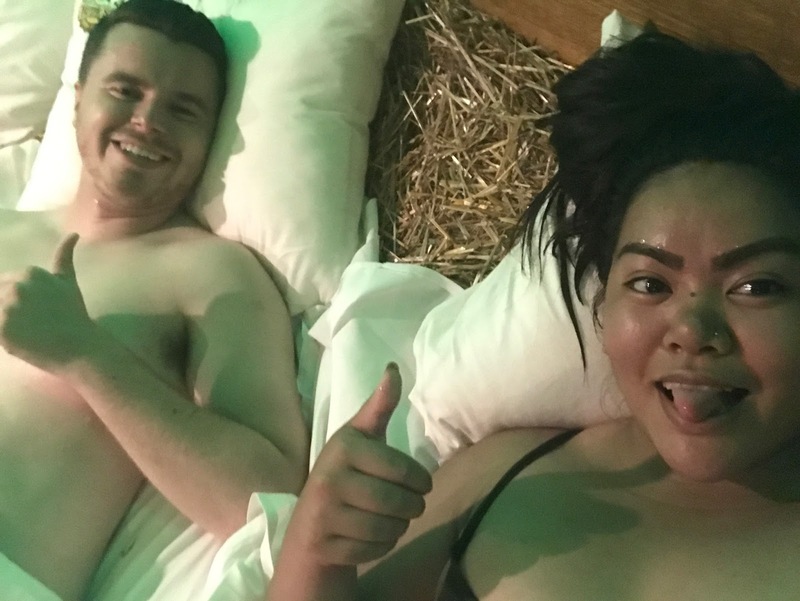 This basically consists of bathing in a bath tub full of beer for half an hour, followed by relaxing on a bed of straw for another half an hour. It seems like madness, but it's actually proven to be amazingly good for your body, skin and stress levels. The unlimited consumption of beer during your hour in the spa probably helps with that last one a bit! The procedure is based on the use of natural ingredients, materials and classic Czech medical treatments. After a quick pre drinks in reception, we were welcomed to our private spa room where we were introduced to the concept and our bath tub was filled. The thousand litre whirlpool was filled was beer extracts - varieties of hops, brewers yeast and malt - all mixed with Czech Krusovice Beer and water. She left us to our own devices, beer taps, and even beer bread! After an hour, our timer rang and we had 10 minutes to get ready and get out! They recommend that we don't wash for several hours afterwards in order to achieve maximum affect, even if that does mean having a slight scent on you. It may just be us, or the fact that the smell of beer is normal in these parts, but we thought we both smelt pretty fresh anyway! We spent some great quality time at a Beer Spa in Prague last year (not this one, but a similar sort of set up) and it's one of my favourite things I've done - so much fun! It's such an experience isn't it? It just seemed like a must do thing to do here! This actually sounds like a dream I never knew I had -- who wouldn't want to lounge in a tub of beer?? Putting this on my bucket list for sure! Hahaha this was exactly our thoughts and we just had to book it last minute, couldn't resist! So much fun! Needs to be on everyone's bucket list! I've never heard of this before but it sounds so weird and unusual. Definately worth doing. Unfortunately I'm not a fan of beer though but I do make beer bread. This sounds ridiculously amazing! Never even knew this was something you could do but now I do I really want to..
You are welcome haha it's such a weird thing to think of but it was so fun to do! I'm so jealous of your adventures! Such a strange concept this one but I'd try it. Thanks for the bucket list recommendation and enjoy rest of your travels! Very strange but it should so be on everyone's bucket list! A very memorable day indeed! Hahaha omg thats awesome!! I recently saw a video about the beer tubs!! AMAZING that you did it even if slightly odd hahaha!! It was so good, would really recommend it!